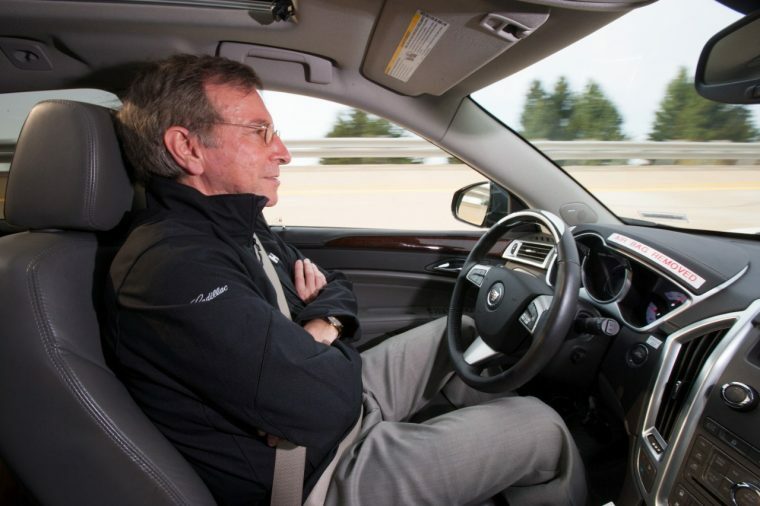 In a recent letter to the National Highway Traffic Safety Administration, General Motors has described some of the features of its semi-autonomous driving system, dubbed “Super Cruise.” The system would work as a sort of advanced cruise control, allowing drivers to take their hands off the wheel in easy driving conditions. However, there are limits. The first is if the road becomes too twisty, the system will alert the driver to put their hands back on the wheel. The second, more advanced limit is if the car notices that the driver isn’t paying enough attention—the Super Cruise system uses facial recognition to determine if the driver is inattentive or asleep, and then uses warnings to tell them to put hands back on the wheel. If the driver doesn’t respond, though, then it gets interesting. The car pulls itself over, flashing its hazard lights as it comes to a stop. The NHTSA seems wary of that system, however, urging GM to make sure that “this fallback solution does not pose an unreasonable risk to safety”—that is, make sure that the car doesn’t just stop in the middle of a busy freeway, or somewhere where it is likely to be hit. On the other hand, Reuters reported that the system won’t act in this way unless the car decides that it is the safest thing for it to do. Presumably, Super Cruise will soon appear in GM vehicles, probably starting with the Cadillac CT6—originally, the launch was intended for this vehicle in 2016, but it was pushed back to next year.